Lynn McBride has learned much since society collapsed in the face of nuclear war and the relentless spread of disease. As the memories of her old life continue to haunt, she’s been forced to forge ahead in the snow-drifted Canadian Yukon, learning how to hunt and trap and slaughter. But her fragile existence is about to be shattered. Shadows of the world before have found her tiny community—most prominently in the enigmatic figure of Jax, who brings with him dark secrets of the past and sets in motion a chain of events that will call Lynn to a role she never imagined. 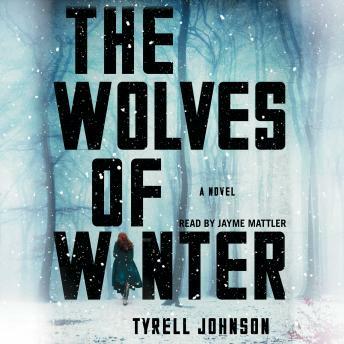 Simultaneously a heartbreakingly sympathetic portrait of a young woman searching for the answer of who she is meant to be and a frightening vision of a merciless new world in which desperation rules, The Wolves of Winter is enveloping, propulsive, and poignant. The writer is good, the book is hugely boring! Absolutely nothing happens until well past halfway through the book and even then if one were to add up the things that happen for the rest of the entire book it might add up to a chapters worth. It is not worth your time. But as mentioned he does write well, just hardly anything happens. Enjoyable listen that took a few twists I did not see coming. Would have given it a 4.5 if I knew how. In a post flu epidemic world, Lynn and her family live off the land in the Canadian Yukon. I enjoyed the all of the characters. They each did brought something different to the table to help their family survive. Lynn is a strong protagonist and, although, the story line was a little predictable I still enjoyed it.